One of my favorite dinners to prepare as the weather gets warmer is whole fish on the grill. Most recently, I purchased two different fish – a branzino (the fish featured on most Italian restaurant menus these days) and a daurade (I prefer to use the French name for what those in the U.S. call sea bream). I ask the fishmonger to scale and gut the fish but to leave the head and tail. My husband and I prefer leaving the head and tail on as they help to make a nice fish stock later. To prepare the fish, make a pocket using aluminum foil and season the fish with sea salt and fresh ground pepper along with a drizzle of extra virgin olive oil. Also add freshly squeezed lemon juice and place several slices of lemon and herbs in the cavity. After seasoning the fish, close the pocket of foil tightly to prevent any steam from escaping and drying out the fish. 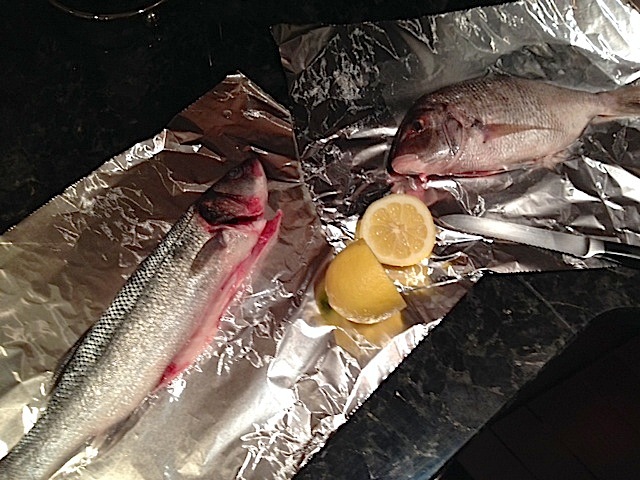 Fish the size of the branzino and daurade should take about 12 – 15 minutes to cook on medium heat on a gas grill. 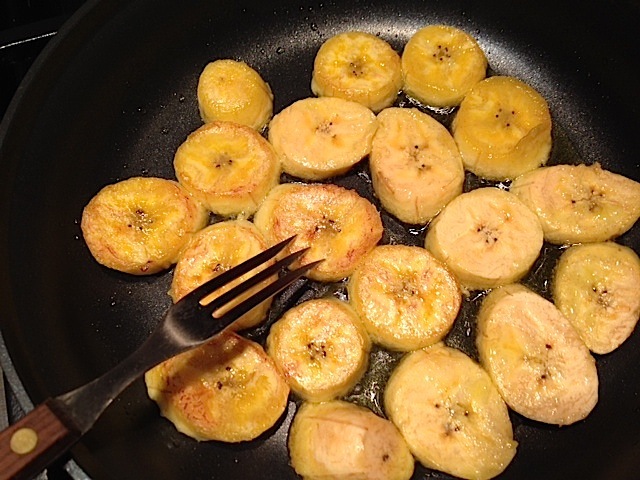 For a sweet starch to accompany the fish, I sliced and sautéed a ripe plantain in extra virgin olive oil until the slices turned golden brown on each side. And, for a peppery green on the plate, I added fresh watercress tossed with a hot pepper oil and sea salt. The next time you see a whole fish at the fish market – whether a branzino, red snapper or Spanish mackerel – consider this simple but tasty preparation. 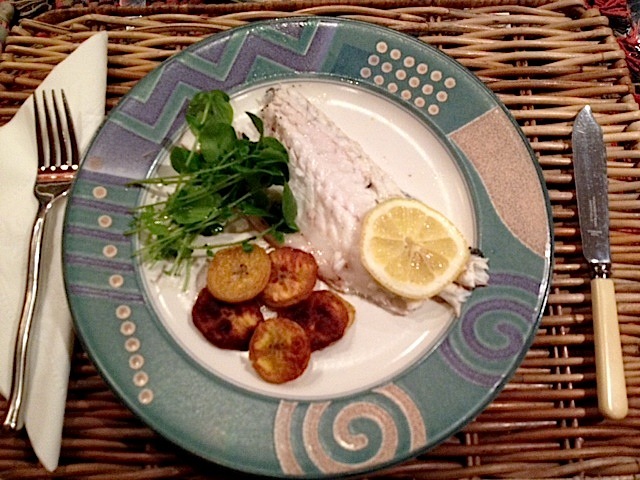 This entry was posted in Uncategorized and tagged Branzino, Bream, Cooking, Daurade, Fish, Food, Lemon, Plantain, Recipe, Seafood, Watercress. Bookmark the permalink.